Synopsis (from Publisher): When Marlie agrees to attend a cadaver ball at Vanderbilt Medical School, she did not expect to actually see any cadavers. Or, that a strange apparition would issue her a chilling message. The loud clank of the door fastening shut behind me gave me a start. My steps skidded to a stop in the sudden darkness, and I pulled a breath deep into my chest. The air was heavy like icy needles probing my throat. I rubbed the chill bumps on my arms with the heat of my moist palms. Squinting against the hazy glow of a single bulb, I scanned one way, then the other, unable to determine the end of the passageway in either direction. From the other side of the door, the steady drumming of the bass from the Cadaver Ball sounded miles away. The perceived distance was a welcome relief. I needed some time to think, to center, and to get a grip. What had just happened between Daniel and me? One minute he’d been leading me around the dance floor, the next I’d lost track of how many dances we’d shared and found myself kissing him. Sure, I’d considered the possibility, but fantasizing about kissing a total stranger and actually going through with it were two very different things. I’d only known one man before who’d been able to draw me in so quickly. I’d also met Finn at a ritzy Nashville party I had attended with my best friend Anna-Beth. Only that had been years ago, back when she and I were still in college. Like Daniel, Finn had been handsome and wealthy. My time with him had ended in heartbreak and loss. Tonight, being back in Nashville, it was like I could feel him all around me—a cagey presence deft at staying just beyond my line of sight. And then I’d met Daniel. As had been the case the entire night, my thoughts rushed to Finn, how I’d fallen for him the first time we’d met. And how two weeks later I had boarded a plane to Vegas where I’d become his wife. Obviously, my true answer would be yes. across the table, bringing everyone’s focus to me. slanted another salacious look to the dark-haired, fair-eyed plastic surgery intern she’d introduced earlier as Steven. A far cry from the teary-eyed socialite who had picked me up at the airport the day before after insisting twenty-four hours earlier that she couldn’t possibly go on living without the support of her “dearest friend.” Yesterday she’d been practically suicidal after the loss of her latest “future hus- band.” Tonight she’d evidently discovered that there was at least one more potential spouse left to explore. “Psychiatric social worker,” I clarified. “And, my training and experience has taught me that a man willing to jump quickly into marriage is more than likely hiding some unfortunate character flaw, something he’s afraid he can’t keep hidden for long,” I answered, feigning a professional confidence. I was looking into the black hole of my thirty-first birthday, doubting with every day that slithered by I’d ever again meet a man I could pledge my heart to. Besides, what woman, over thirty or otherwise, doesn’t secretly fantasize about a chance meeting with the man of her dreams? Paul considered my answer with a shrewd stare. “I don’t believe you. I think you, like all women, would jump at the chance to be married,” he said, his drawl stained with a hint of headiness. Despite the fact he was clearly wearing a platinum band on his left ring finger, Paul had been ogling me all evening, and I could sense a growing affinity. But I was one hundred percent sure I wanted no part of it. I inwardly groaned. This impromptu game of Scruples was get- ting on my last nerve. It ticked me off that Paul had accurately called my bluff, but I wouldn’t give him the satisfaction of yielding to the fact. I rolled my eyes in return. “So, outdated stereotypes regarding women are perfectly alive and well but showing a little integrity ... that’s old fashioned?” I retorted, though an announcement had every- one shifting toward the front. From the stage, the emcee was lamenting about a doctor—Dr. Peter Daschle—a pioneer in the field of reconstructive plastic surgery who’d been strides ahead of his time when he’d met with tragic death and how his expertise would be sorely missed ... Then, after a minute of silence, the emcee introduced the band and invited everyone to the dance floor. The buzz of attendees taking one last drink, or bite of dessert, before pushing back their chairs was quickly overpowered by the band’s version of Hip to My Heart as everyone paired up and filed out to the dance floor. Glancing across the table, I could see Paul fighting the flow of bodies, cutting a path straight for me. A look of cool, self-assuredness seemed to be driving him against the fray. My gaze flitted quickly around the room as I considered my options. I had two choices: run for the safety of the service exit and spend the rest of the night hiding, or turn, face him, and let him know exactly what I thought of his presumptions. Given that I had a general dislike for cowardice, option number two was my obvious choice. I hesitated. It wasn’t like I was planning to make a scene, and who was this man that thought he knew what I had in my mind to do? Whirling around, I shot a bothered stare into the face behind the voice. Gazing down at me, the hint of a smile on his lips, was a man Anna- Beth had introduced as her cousin, Daniel something-or-other. In his early forties, he had thick dark hair tapered neatly around his neck and ears but longer on the top and combed back. His nose was slightly crooked, his chin distinctive. A trace of gray at the temples gave him the look of striking maturity, a man accustomed to the finer things in life. His dark blue eyes conveyed a subtle insistence as he stepped to the side and motioned to the dance floor. “After you,” he said with all the graciousness of a Southern-born gentleman. Swallowing back a portion of my resolve, I found myself at a sud- den loss for words. Unnerving since I rarely, if ever, found myself with nothing whatsoever to say. After a final glance back at Paul—I would deal with him later—I adjusted my course and headed for the dance floor. Daniel pulled me in close and proceeded to lead in a smooth cowboy cha-cha. After a few silent turns around the parquet floor, I glanced up to see that his eyes, dark blue like a moonless night, were searching mine as if looking for a truth that eluded him. My head spun under the heat of his gaze. At the moment I couldn’t recall each and every response, there had been so many, but thinking back, I was fairly certain I’d meant them all. more puzzling, why had Daniel been attracted to me? I wasn’t particularly tall, and while my face and figure were not unfortunate, I tended to blend easily into a crowd. But then, he had said that I reminded him of a slightly older Emma Stone, which I modestly denied, while secretly I’d kind of thought so too. And then there was always the possibility that because I was from out of town he’d considered me an easy mark for a torrid one-night- stand. Except from what I could see, he seemed to be a perfect gentle- man—not at all the womanizing type. I stopped pacing and started chewing my thumbnail while the toe of my sandal tapped the floor. Why was I so cold? I should go back in. Only now I felt like an idiot for running out the way I had. It was too frigid out here to spend any more time second- guessing my reaction. How should I play it when I see Daniel? Act casual? Ignore him? I was mentally pounding my head when another sound joined the echo of my tapping foot. Slamming my shoe to the floor, I held it still and listened to the darkness. I couldn’t hear a thing, not even the muffled drumming of the band. Turning in a circle, my eyes searched the shadows, unable to see anything beyond the thick blanket of blackness surrounding my solitary swath of light. An unsettling feeling began a slow crawl up my spine. Was it the sudden quiet or the complete darkness that had me feeling on edge? I couldn’t be sure at first, but then there was noise, or maybe just a feeling as the presence of something unseen crept over me, and I realized I wasn’t alone. The only reply was the hiss of my own breath, the rush of my blood as it beat against my ears. “I know you’re there,” I said. I thought I heard something—a sigh or a brush against the far wall. “Hello?” I tried again. Nothing. Maybe my imagination was getting away from me? I mean, who wouldn’t be creeped out in a dark, frigid hallway? Nothing to worry about. In case something feral was indeed lurking out there, I retraced my steps, one foot behind the other, my eyes sweeping the abyss in both directions until I bumped up against the steel of the door. Reaching back, I pushed down on the handle and then pulled while keeping a close eye on a predator I wasn’t sure existed. The door didn’t budge. I turned to face the door, pushed down with both hands this time and pulled. Then I lifted and yanked again. The door stayed put. I was locked out. The fear of being trapped squeezed my chest with a ruthless grip. Droplets of perspiration rolled from my temples and down to my neck, burning a steamy trail over my cold skin. The air grew more frigid. The darkness pressed closer. My heart began to race, my breath grew more shallow as panic pushed hard at my need to stay calm. “I’m locked out here!” I pounded my fists on the door as the music started up again. “Can someone—anyone—hear me?” I yelled until my throat was raw, the shrieks shooting from my lips in puffs of white smoke. Pressing my cheek against the door, I listened to the muffled sounds of a rousing party. The cool metal did little to relieve the heat of my exertion. There was no indication that anyone had heard my screams—at least no one on the other side of the door. A thump, followed by a drag was the first undeniable conformation that someone—something—was there. I waited. The dragging grew closer, the darkness slowly consuming what little light was there in the dark hallway. “Please, say something.” My voice crackled against the black walls, my eyes focused toward the sounds as the silhouette of a body materialized out of the haze. At first, all I could make out the bareness of a man’s feet and legs against the grey floor, one foot taking feeble steps forward while the other dragged along in its wake. His flesh was white like a thin sheet of paper stretched over iridescent blue veins. Another thump and a drag brought him closer. The dim light turned blinding as it reflected off the whiteness of his skin. He was completely naked. His shoulders were slumped over. His arms hung long and limp at the sides of his torso. A stitching in the shape of a Y marked across his chest. His hair was disheveled and receding from a long forehead above sunken cheeks and lifeless, gray-rimmed eyes. He looked like a walking corpse. myself away. My ankles gave way beneath me. the words booming over stiff lips. humored skits that had opened the medical school ball, but I was unable to recall this particular prop. “Is this some sort of joke?” I called out through quivering lips. “Marlie Evans,” he repeated with more insistence. Each syllable pressed down on me like a heavy weight. I sucked in a ragged breath. Why was I trapped in the cold, the darkness, with death standing before me? Suddenly, this didn’t feel like a joke. He blinked once, slowly. “The end has already been written,” he said with what sounded like considerable effort. A sneer pulled across his sullen face, his features contorting into a look so vile I felt as though something evil had reached inside me and taken hold of my soul. Julie N. Ford graduated from San Diego State University with a BA in Political Science and a minor in English Literature. In addition, she has a Masters in Social Work from the University of Alabama. 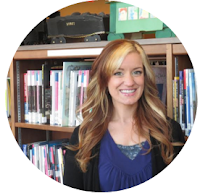 Professionally, she has worked in teaching and as a Marriage & Family Counselor. 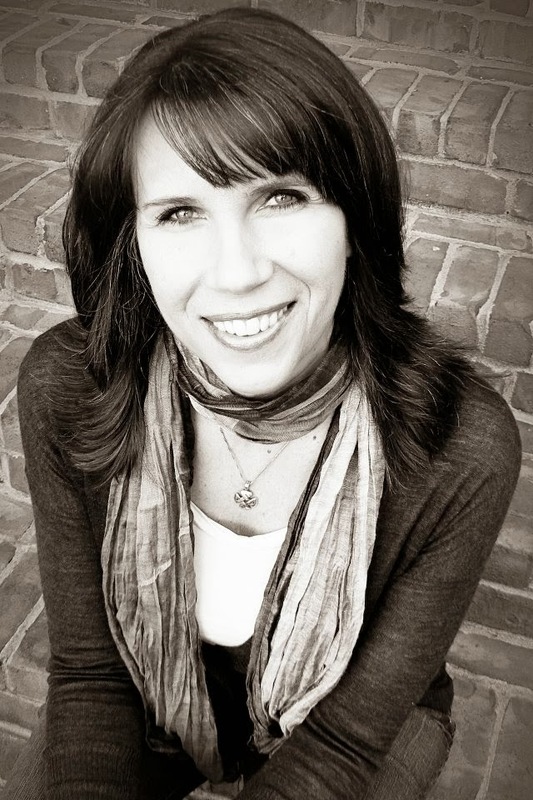 In addition to Replacing Gentry, she is the author of two women’s fiction novels, The Woman He Married and No Holly for Christmas, published in 2011. She also wrote a romance/chick-lit novel, Count Down to Love, published in 2011. Count Down to Love was a 2011 Whitney Award finalist. Like the description says, the best way to describe this book is a modern twist on Gothic-romance classics like Rebecca and Jane Eyre. You will find the mystery, thrill, and marital secrets. There were many facets to this book, many intriguing and captivating, keeping me engrossed within the story and turning pages to find answers. Ford did well with her story development and creating open ends. It was great to read a book that reminded me of quality literature! Not to mention it has a gorgeous cover...love it! I also enjoyed how Ford was able to surface my emotions through situations and the emotions of Marlie. My heart broke for her and I felt the pain, sadness, and anger of her rejection from her husband and the people around her. One big thing I did not like was the lack of a true hero. Daniel was pretty lame and just not likable. It kind of made the whole situation feel hopeless. There were also a lot of unanswered questions leaving the end feeling a bit rushed and lingering. 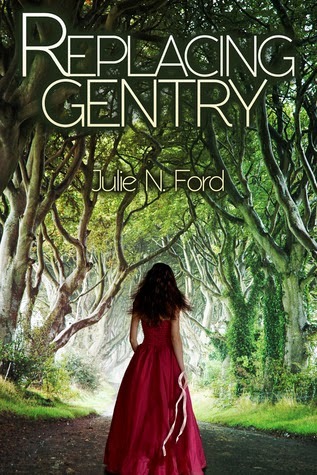 If you're reading Replacing Gentry for the sheer mystery and thrill, then I would recommend it. You will definitely enjoy the eerie and foreboding suspense! Who loves free stuff?? I do I do!! We are giving away a $25 Amazon gift card! Be sure to enter soon and tell your friends!